"Detroit Unleaded" was a great idea. A lot has been written lately about the city's depressed condition. Similarly, small storefront businesses run by immigrants in American urban ghettos have become standard hood movie tropes, but usually as experienced from the customer's side of the counter. This indie comedy aspires to take us into the heart of crumbling Detroit and behind the bullet-proof glass of a gas station/convenience store. The trouble here is a lack of texture and urgency, despite a rapid visual pace that bounces around inside the convenience store and environs like the best movies in this subgenre, "Do the Right Thing", "Car Wash" and "Friday". There simply is no neighborhood personality here as vibrant as Chris Tucker's Smokey, or as believable in his lunacy as Bill Nunn's Radio Raheem. The filmmaker's cart is tugging frantically at a lazy horse. That might be forgivable if the the romantic leads in the story, Sami (EJ Assi), the Lebanese-American heir to his family's gas station and Naj (Nada Shouhayib), a beautiful Arab-American cell phone store clerk, had explosive chemistry or greeted the obstacles to their courtship with something more than mild irritation. These are comely, personable kids, but a friend of mine summed up their general mall greeter affect by saying, of Assi, "He's good looking enough to be in a movie. Wait, he is in one." The movie itself forgets, too, giving us tidily cute moments that suggest a decent NBC sitcom pilot. Tension is what this movie cries out for—sexual, racial, cultural, class…. 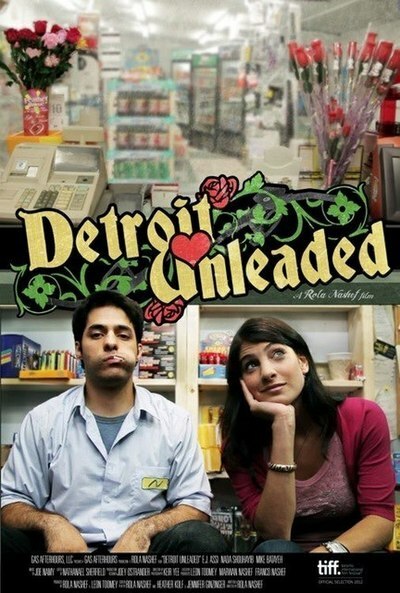 As a variety of urban types pass through Sami's store, director Rola Nashef offers only superficial evidence that their dramas and dilemmas crowd and exasperate this restless 20-something, who commutes from suburban Dearborn to the purgatorial job that forced him to drop out of college (!). There's also the under-explored thread of grudging affection between the mostly black strivers/hustlers/working stiffs and their Middle Eastern counterparts. The film opens with a burst of suggested violence that further hints at a lot bolder, blacker (in the dramatic sense) comedy. A handgun even reappears as the classical tragic omen, but there's rarely any sense of real investment or vulnerability in Assi's performance. Underneath it all, Nashef hides a strong and worthwhile multicultural vision. It's just visible in this sketch of a movie, so I hope she comes back to it with real force and ambition (not just the commercial calling card variety) next time around.